Built in 1922, the former Enoch Pratt Free Library Branch No. 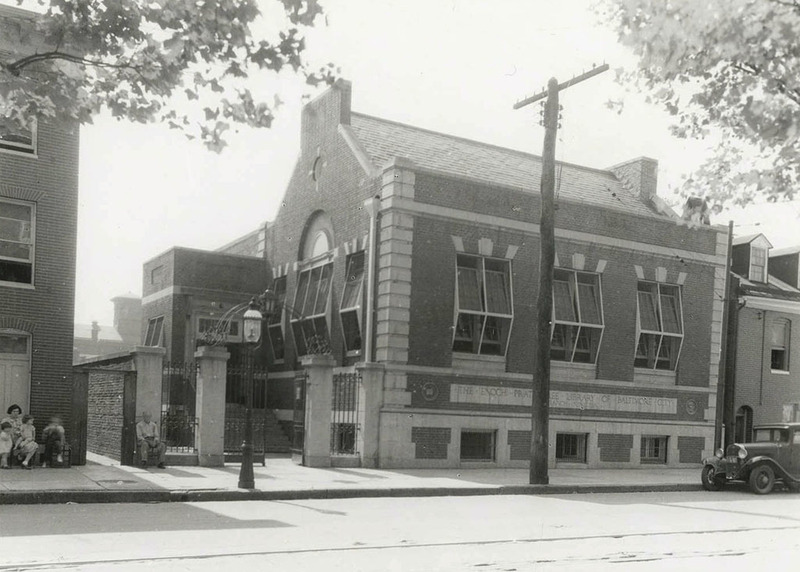 19 at 606 South Ann Street was one of a large number of branch libraries that opened in the early twentieth century. 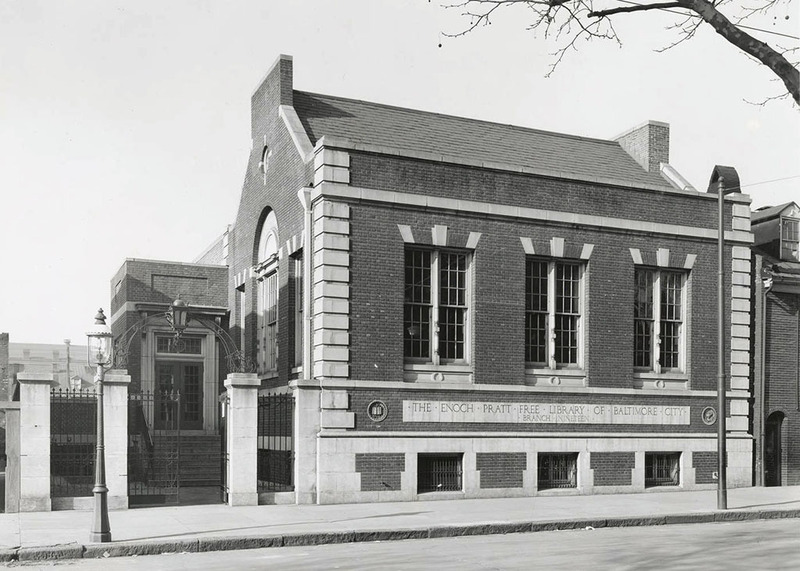 Between 1908 and 1920, the Pratt Library opened a new branch every sixteen months including new libraries in Hamilton and Mount Washington. The building boom was supported by a 1907 gift from Andrew Carnegie and by the generosity of local residents and community organizations who donated land and funds to support their construction. In 1920, Baltimore City acquired a lot on Ann Street donated by the Children's Playground Association and William Hooper Grafflin, a Baltimore native, banker, and board member of Johns Hopkins Hospital. Local architect William W. Emmart put together a design and the contract for construction was awarded to R.B. Mason in May 1921. By June 1922, the new Branch No. 19 was open. 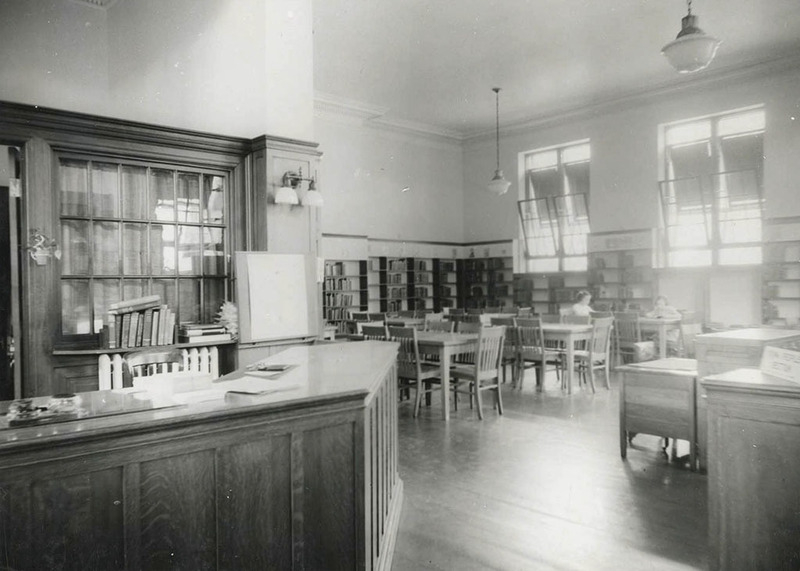 During the early decades of the library's operation, a large number of the patrons were European immigrants, especially from Poland. The population of Polish immigrants in Baltimore grew quickly in the late nineteenth and early twentieth century reaching over twenty-three thousand people by 1893. A large share of these residents lived in southeast Baltimore, earning Eastern Avenue the reputation as Baltimore's "Polish Wall Street." After the Pratt began offering "book lists" of suggested readings in 1934, a patron at Branch No. 19, Mrs. Charles D. Sadowski, worked with Miss Sara Siebert, branch librarian, to assemble a list of Polish-language books on the history and culture of Poland along with any English novels translated into Polish. 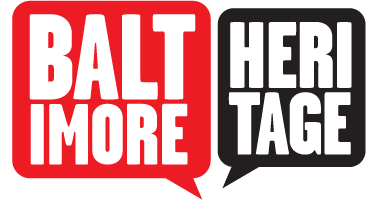 The history of immigration in southeast Baltimore is woven together with the history of maritime industry. For example, in December 1941 at the beginning of World War II, more than fifty members of the National Maritime Union walked from their hall at 1700 Fleet Street to register as volunteers for civil defense activities. Some of the volunteers were unable to write in English but the branch librarian Miss Annabelle Collins helped in "filling out their blanks." The war effort also inspired residents to turn the library's back yard into a "Victory Garden." By the 1950s, the Fell's Point Improvement Association began regular meetings at the library and, in the 1970s, the librarians at Branch No. 19 began offering a growing variety of programming for patrons. For example, on June 1, 1974, the library hosted a "family fun festival" with "rock groups, movies, a puppet show, storytelling games, a mahic show contests, and a bake sale." On December 22, 1975, the library invited neighbors to join a free "Community Christmas Party" with seasonal movies, tree decorating, and caroling. Budget troubles for the Enoch Pratt Free Library system in the early 1980s led to a month-long closure for what was then known as the Fell's Point Library Center in 1981. The library declared the large back yard "off-limits" to patrons because they could not afford to maintain or restore the area. Fortunately, residents pitched in to sustain and support the branch. In spring 1985, a neighborhood group, the Owners' Restoring and Renovating Association, secured a $2,500 matching grant from the city's Neighborhood Incentive Program. They planed to plant new flowers and trees and install tables and benches. When other library visitors learned about the plan, they donated even more time and money to raise over $6,000. The community celebrated the new "reading garden" with a dedication on May 17, 1986. 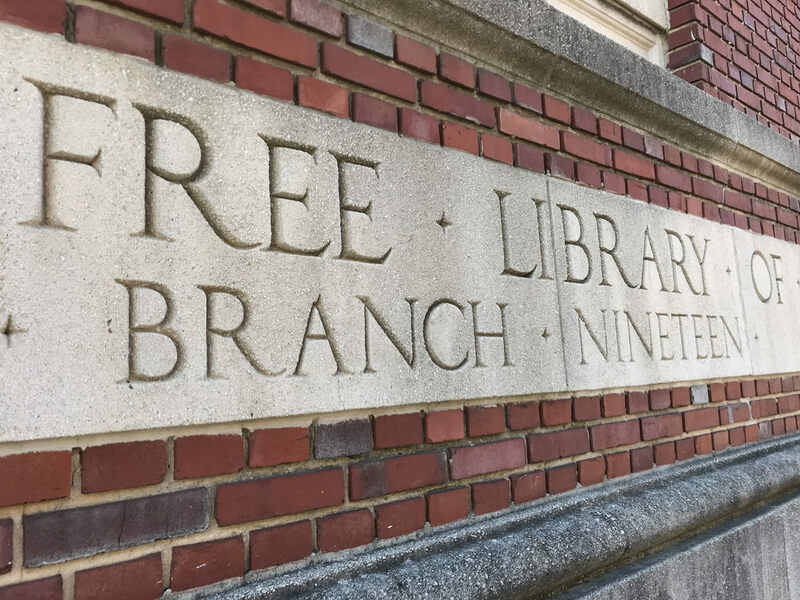 By 2001, however, years of inadequate funding led the Enoch Pratt Free Library to announce a plan to close five small branches—including the Fell's Point Center. In August 2001, just two weeks before the branches were set to close, then Mayor Martin O'Malley announced that the city had agreed to keep four of the five branches open through partnerships with local nonprofit organizations. The Education-Based Latino Outreach (EBLO) center would move into the former Branch No. 19 and turn it into "a center for immigrants to learn language, assimilation and job skills." 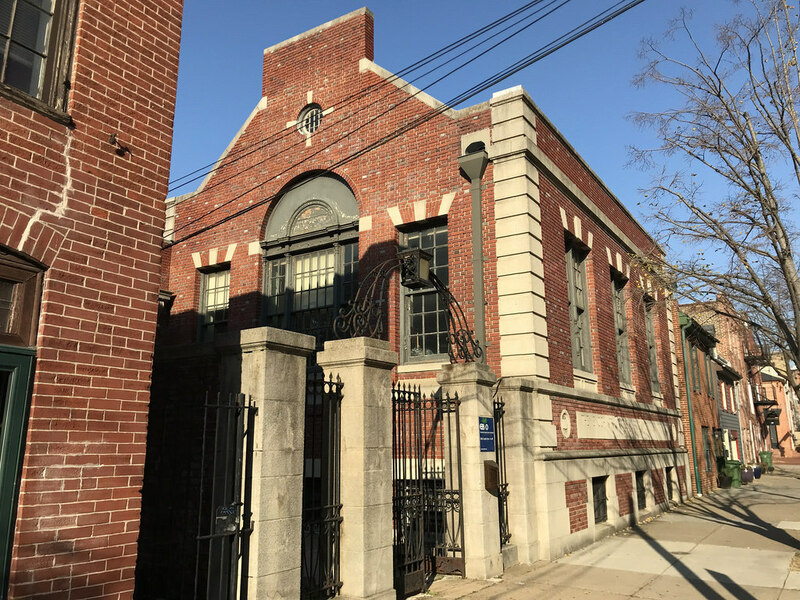 According to the Baltimore Sun, Clinton Roby, treasurer of Friends of the Fell's Point Branch, was glad the city avoided selling the building to a private investor, remarking, "We were worried the city was going to take the highest bidder. I'm just glad it's not going to be taken away from the community." 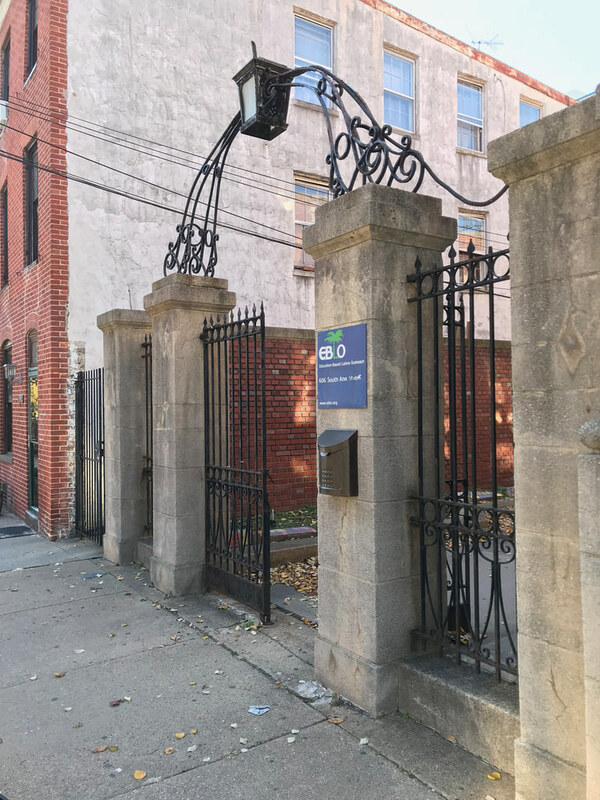 In 2018, after fifteen years of service as the Education-Based Latino Outreach (EBLO) center, the former library is again in need of repairs and improvements. Flooding in the basement is a regular concern. Roof leaks have damaged the interior and forced EBLO to move programs out of the building. Residents, local elected officials, and EBLO staff are working together to seek funding for repairs and return the building back into use as a resource for the community. Eli Pousson, “Former Fells Point Branch, Enoch Pratt Free Library,” Explore Baltimore Heritage, accessed April 23, 2019, https://explore.baltimoreheritage.org/items/show/631. Published on Jan 10, 2018. Last updated on Nov 27, 2018.